The current group of new donors comes from the Generation X and Millennials who are introducing disruptive new technology and strategies for philanthropy in the same way that they have introduced the new technology and companies that have made them trillions. Around $60 trillion to be precise. Always looking for new ways to improve old systems and for innovative solutions to systemic issues, the profile of a ‘next-gen’ donor is much the same. The new power-donors are the CEOs of some of the most disruptive and innovative companies on the planet and they are using their massive monetary value to transform and innovate philanthropy by tackling some of the largest and longest-standing social challenges facing the world. Not content to just give locally, though that is still a significant trend when it comes to donations in education in the US, the current crop of philanthropists are showing that they want to focus on evidence-based programs while introducing new experimental foundations and projects that are driven by metrics and results. This change in the profile of donors could signal the next-gen trend in the impact of large-scale giving. The profile of a ‘next-gen’ donor is also markedly different from other traditional types of philanthropists in that they are extremely hands-on and involved in shaping the foundations and programs to which they donate. Some pundits are hailing this the ‘Impact Revolution’ in philanthropy and it will shape the profile of donors and donations for future generations. Though the profile of issue areas has not shifted for the ‘next-gen’ donors (education and basic needs still top the list across all generations) the way that donations are given is completely different. The emerging trend of charities pursuing profitability has had several detractors and critics, but it is part and parcel of the way that ‘next-gen’ donors are able to align their charitable giving with their personal values. The Golden Age of Giving – Who is Changing the World of Philanthropy? One of the most impactful ‘next-gen’ philanthropists are Mark Zuckerberg and Priscilla Chan <> with the development of the Chan Zuckerberg Initiative, not as a traditionally styled foundation, but as a charitable LLC. This simple innovation allows them to invest in businesses that are socially active as well as political ventures in addition to being able to make donations to traditional charitable programs and projects. Alexander Soros, while following in his father’s footsteps on the board of the Open Society Foundations, has made sure that his own philanthropy is focused on seeing the direct impact of investments in social programs on a large scale. Lukas Walton, Dustin Moskovitz, Huiyan Yang and Nathan Blecharczyk from AirBnB are just a few of the ‘next-gen’ donors that are changing the way that philanthropy operates, and their efforts will shape the course of philanthropy for future generations. They’re determined to make an impact and address issues on a global scale and see that change in their own lifetimes. Could Cryptocurrency and Fintech Be Big Donors in 2018? The rise (and fall, and rise again, and fall again!) of cryptocurrencies has been making the news since late in 2017, but with more and more fintech companies making headlines and significant profits, could we be seeing the rise of the cryptocurrency philanthropists in 2018? Could crypto-donors be the next big thing in philanthropy? Ripple, the company behind the XRP digital asset recently donated $29 million of its proprietary currency to funding programs for public schools. In a statement, Ripple noted that this was the largest cryptocurrency donation to a single charity. The charity, DonorsChoose.org is a platform where educators can list classroom projects and programs that require funding. Ripple was able to fulfill thousands of individual educator requests via the non-profit organization and the donation will be utilized to purchase classroom equipment and materials for over 28,000 teachers in 50 states. This may have been the first crypto-donation on this scale, but it certainly won’t be the last from Ripple, which noted that this donation was part of an effort to formalize a broader social outreach program. While Ripple may be the largest donor to a single charity, back in December 2017, an anonymous donor started a non-profit organization called the Pineapple Fund. 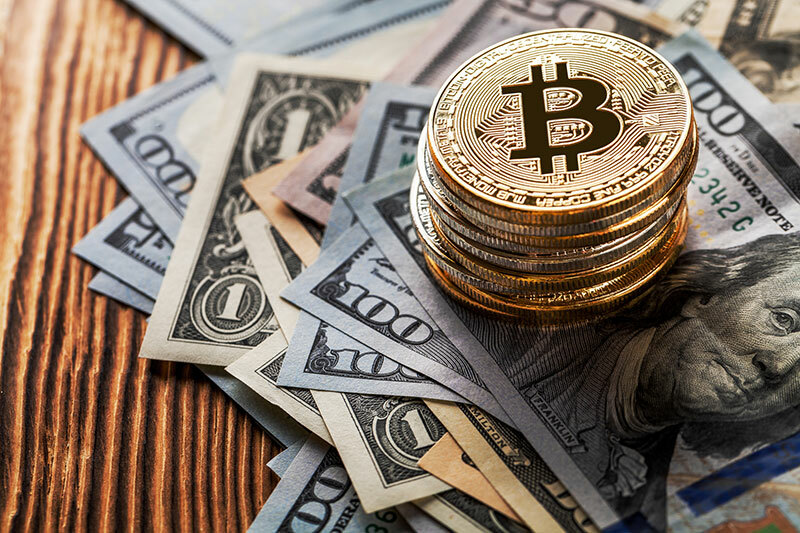 Since December, the fund has given away over 5,000 bitcoin (BTC) which equates to around $86 million. To date, $55 million has been disbursed to over 60 non-profits and charities like The Water Project, charity:water, ACLU, Sens Research Foundation and Hearts & Homes for Refugees. There are a lot of charities that have not considered the value of accepting donations in digital currencies, but the ones that do have seen a significant increase in giving over the last year. Fidelity Charitable started accepting crypto-donations in 2015 and though it started off slowly, in 2017 alone, the charity received over $69 million in cryptocurrency from 169 donors. The growth in crypto-donations via bitcoin and ether, has been over 140% faster than any other type of donation to the organization. United Way, which is one of the world’s largest privately held charitable organizations, started accepting bitcoin to its Innovation Fund which helps mobilize resources in technology projects. 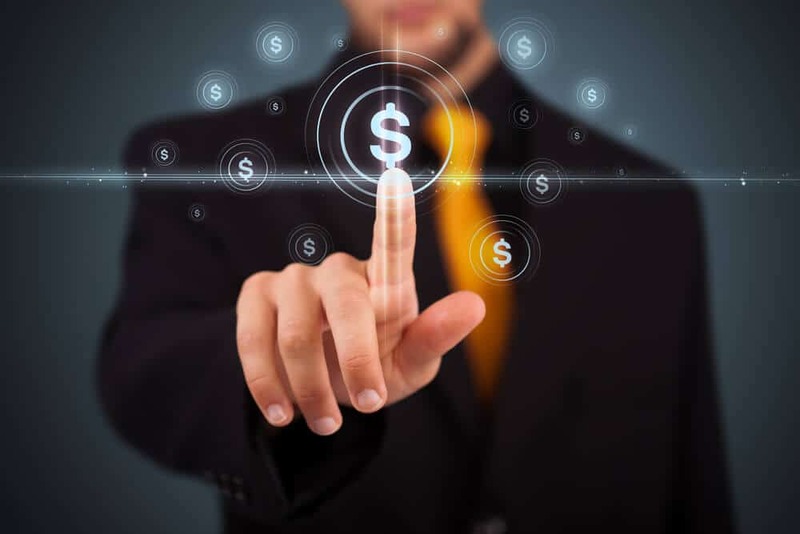 Fintech, the technology that helps consumers pay for goods, manage investments and receive loans, is a multi-billion-dollar industry, and making sure that non-profits are able to take advantage of donations via digital assets has been spearheaded by fintech companies like Coinbase and BitGive. Coinbase waives all fees for 501(c) non-profit organizations that accept philanthropic donations using bitcoin on the Coinbase merchant services platform. It’s an important step taken by one of the world’s largest fintech companies that can save a charitable organization a lot of money. Overhead costs on transaction fees are often crippling for smaller non-profits. Despite the fluctuation (often not that different to regular currencies), digital currencies are here to stay. The rise of cryptocurrency companies and the explosion of the fintech industry means only good things for philanthropy in 2018. Philanthropic donations in China are rising with the numbers of newly minted millionaire and billionaire entrepreneurs. Since 2010 philanthropic donations from the top 100 philanthropists in China more than tripled to around $5 billion. With 609 billionaires, China now has more than the 552 billionaires found in the United States. The number of registered non-profit and charitable foundations grew by 430% between 2006 and 2016, and this has had a knock-on effect in the increase in Chinese-American foundations and donations, with an increase of 418% between 2000 and 2014. Not that charitable giving is a new phenomenon in China, it stretches back for thousands of years, but after 1949 when many NGOs and private charitable organizations were shut down, it stagnated. Reforms and the rise of the Chinese entrepreneurs has seen a sharp increase in philanthropic donations. 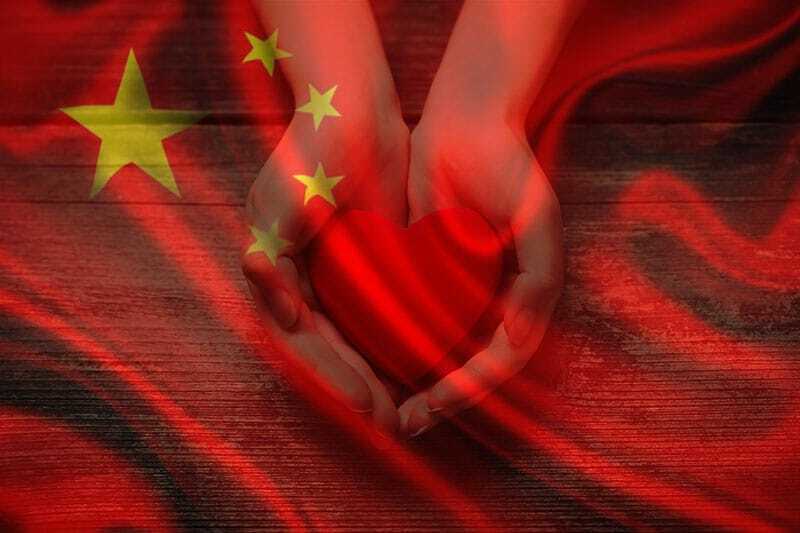 The 2016 Charity Law also helped to legitimize philanthropic activities in China as well as make the entire sector more transparent, raise the profile of giving and expand civil society. The new law seeks to make it easier for individuals and corporations to establish non-profit organizations as well as easing the ways that non-profits can raise funds and hire staff for foundations. The law also encourages charitable giving by providing added tax incentives for charitable donations. Many of China’s top philanthropists focus on a single issue and donate heavily to programs in that sphere rather than spreading their donations across several areas. The most common area for large donations in China is education. Billionaires Zhao Weiguo, Zhao Jing and Pang Shengdong have all made significant donations to educational programs. The profile of donations is slightly different to the west with much of the philanthropy in China coming from individuals as opposed to families and family foundations, as much of the wealth is first generation, but this profile is slowly evolving with over one quarter of China’s wealthiest individuals having established foundations that donate to a myriad of causes and programs. Who are the biggest philanthropists in China and where are they placing their donations? In 2015, Chairman of Oceanwide Holdings, Lu Zhiqiang, donated $115 million to Fudan University. Charitable giving extends further than mainland China itself to Hong Kong and to an increase in the rise of Chinese-American donations. Hong Kong-based entrepreneurs Ronnie and Gerald Chan Chi-chung donated $350 million to Harvard University, and Li Ka-shing, made a $130 million to Guangdong Technion Israel Institute of Technology. The increase in Chinese philanthropy and the rise of the new dynasty of Chinese philanthropists is showing no signs of slowing. In the next few years, more foundations will be set up and more initiatives and programs will be able to benefit from increased donations from Chinese philanthropists. 2017 has seen some of the world’s most devastating natural disasters. Disasters that have decimated several nations, disasters that have necessitated an urgent need for philanthropists and donors to step up immediately to provide life saving help to these areas and communities. 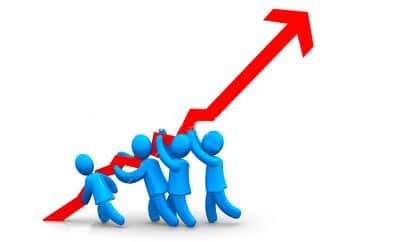 While the list of significant annual donors, goes up every year, these are for the most part, planned donations, decided on months in advance and structured very carefully by finance and management teams. While philanthropy is much needed, it is also a big and sometimes complex business. What Happens When Donations Are Needed Right Now? We know who is on the list of the biggest donors in the world, but it is often a surprise at the numbers of large donations that appear from the most unlikely sources after a natural disaster has occurred. In the aftermath of one of the most devastating storms to make landfall in the USA, Hurricane Harvey wrought havoc across the Texas coastline, bringing the city of Houston to its knees. While donations poured in from around the world, there were a number of significant philanthropic donations that may not have made the headlines, made all the difference. With cleanup costs alone estimated at over $40 billion, the need is very real and very urgent. Growing up impoverished in Vietnam and now a billionaire resident of California, Kieu Hoang immediately stepped up to become one of the largest single donors to the relief efforts in Texas. His donation was targeted to help the most vulnerable members of society, illegal immigrants, many of whom he said were too scared to find city shelters for fear of being deported. Hoang also flew to Houston and spent time in the worst hit areas of the city. With a target of $100 million via his foundation toward relief efforts, Michael Dell started off with a personal donation of $36 million to a specific fund ‘Rescue Texas’. The billionaire tech guru is ensuring that donations go directly to relief organizations on the ground and for ongoing efforts to rebuild the worst hit areas. 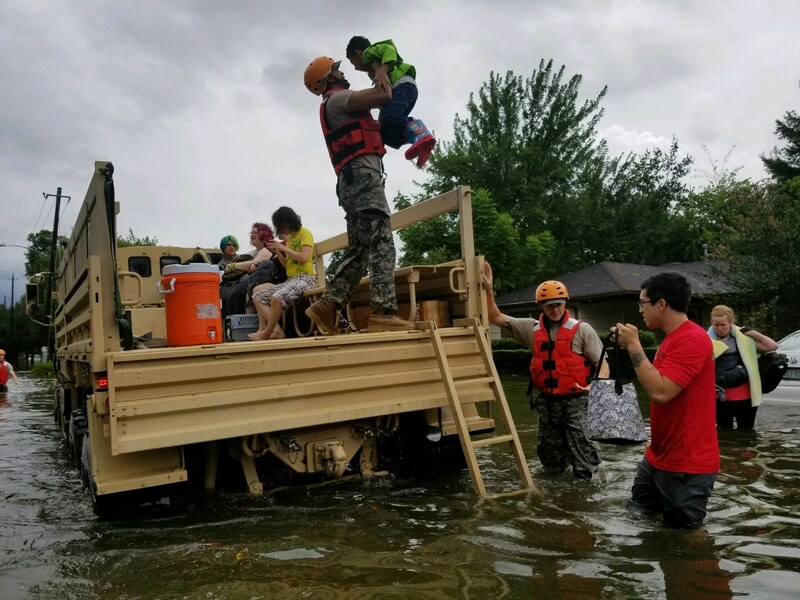 Corporate donors also came in strong in the aftermath of Hurricane Harvey with PepsiCo leading the way with a $1 million donation to the American Red Cross. Walmart also donated $1 million as did Amazon. The Home Depot also donated $1 million to the Red Cross for immediate need but added a donation of products to its Texas stores to help with the rebuilding and repairs. One of the worst hurricanes ever observed in the Atlantic, Hurricane Irma laid waste to several islands in the Caribbean before wreaking its devastation on the parts of Florida. Relief efforts were hampered by the ability of worker to access the areas affected. On the island of Barbuda, 95% of all structures were destroyed. Hurricane Maria soon followed with a direct hit to Puerto Rico, still reeling after Irma’s devastation. Some of the biggest donations to relief efforts in this region include ones from corporations like Starbucks, Lowe’s and Walmart with a $10 million donation to hurricane relief in 2017. Disney announced a $2,5 million donation to Irma recovery programs. However, with $105 million donated over 2017 specifically to hurricane affected areas, only $17 million went to relief efforts after Irma and Maria. Donor fatigue? Only time will tell. Individual donations to help with rebuilding have been adding up, but the largest donors to relief efforts in Puerto Rico and other nations in the Caribbean have been Richard Branson of Virgin with donations to the Red Cross, and country star Travis Tritt with an undisclosed donation for Hurricane Irma relief work. Sports teams, Miami Dolphins and Florida Panthers each donated $1 million to Irma charities. After the devastating earthquake that hit Mexico in September 2017, Mexico’s richest man, Carlos Slim donated $110 million to relief efforts. Nearly 210,000 individual donors also provided funds to the effort bringing the total to $130 million. Slim, worth nearly $62 billion, said the funds were earmarked for rebuilding hospitals, schools and housing. Mark Zuckerberg pledged $1 million to the Mexican Red Cross to help with immediate rescue and rebuilding programs. Apple donated $1 million to the cause, and actress Salma Hayek donated $100,000 to UNICEF to help with relief. From the monsoon flooding in Bangladesh, to landslides in Columbia. From terrible flooding in Sierra Leone to storm ravaged islands in the Atlantic – help is needed everywhere, and generous philanthropists are making sure that donations and fund raising for natural disasters remains high. 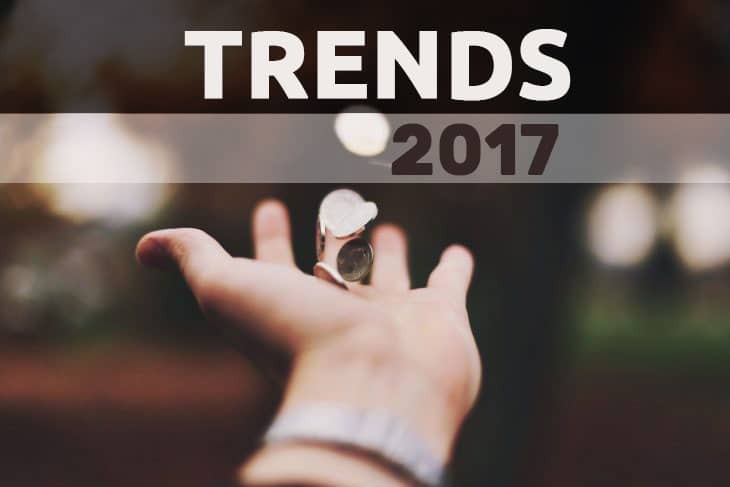 2017 Trends in Philanthropy – Has Charitable Giving Changed in 2017? 2017 has been an interesting year. It’s been a tough year for nonprofit organizations: Natural disasters, shifting political fluctuations, and a global economy that appears to be flirting dangerously close to a recession. All these factors, and more, have influenced donations in 2017 and seem set to affect the world of philanthropy for the next few years. There are nine major categories of recipients around the world; religion, human services, education, healthcare, arts and culture, environmental, public-society, international affairs, and giving to foundations. 2017 has seen growth across ALL sectors making it only the sixth time in over 40 years that donations have been ‘up’ across all sectors. Despite a certain amount of ‘belt-tightening’ in 2017 and uncertainty about the shifting political landscape in many countries, individual donations have seen an increase in 2017. In the United States, donations by individuals increased by 4% over 2015/16. It is true that the political climate plays a significant role in many donors’ decisions on how to disburse their donation, it is found that it is largely economic factors that influence the overall trend of charitable giving. Individual donations grew at the highest rate in 2016 and 2017. Donations by individuals far outpaced donations by foundations and corporations. Foundation donations continue to grow but at a much slower rate than previous years. Bequests and donation from estates dropped significantly in 2017.
International affairs, public-society and the arts all saw growth in 2017. This is considered largely attributable to the increase in publicized natural disasters and the need for immediate relief in several regions of the world. The sectors with the slowest growth in 2017 was education with just 3,6% growth over previous years, and religion with a 3% growth. Different generations have very distinct ways of donating money, as well as different trends in the types of organizations and nonprofit groups that they favor. These trends and patterns can help organizations target key audiences and invest in better ways to encourage people to donate in 2018. One factor that is common across all three generations is the fact that more people prefer to donate money online as opposed to at fundraising events or by direct mail. 67% of millennials and 59% of Generation Xers and Baby Boomers prefer to donate money online. This means that it is imperative that nonprofits ensure that the path to donate online is seamless, secure and easy to navigate. Improving online donation paths may be the biggest trend in 2017, and it is here to stay. Baby Boomers – With 19% preferring to donate via direct mail, baby boomers are also the group that is most influenced to donate by attending a fund raiser, followed by an appeal by email. Only 19% of Baby Boomers are inspired to donate to an appeal on social media. Generation X – Gen Xers prefer to donate at fundraising events over direct mail and are most inclined to give following an appeal on social media (28%), fundraisers (24%), and then email (20%). Millennials – This generation show the highest numbers of online giving (62%), followed by fundraising events (16%), and are the only group to have actively embraced mobile as a path to donate (9%). A millennial donor is more likely than any other generation to respond to requests on social media. One of the biggest factors affecting donation is the personal one. Volunteering and encouraging people to actively help a nonprofit with their time and skills is the best way to ensure that donations grow. 88% of donors who volunteered at an organization also donated funds to that organization. With a whopping 75% of donors noting that they stay up to date with news about their charities on social media, it’s little wonder that social networks are also a growing trend in inspiring people to donate. Facebook takes with top spot with 62% of donors inspired to give by news and appeals on Facebook, followed by Twitter (14%), Instagram (10%), YouTube (6%) and LinkedIn (3%). Social media in 2017 is about connecting people and sharing information. Nonprofits need to ensure that they invest more in social media outreach and in keeping the channels of information open at all times. What have we seen in 2017 that has made a difference in the way that people donate money? In Europe and the United States, uncertainty and opposition to political leaders has shown an increase in ‘oppositional donations’. There is growing mistrust at the often-vague structure of some foundations and people are preferring to donate money personally to specific organizations. If you’re a small nonprofit then look for ways to attract individual donors, and ensure donors that their money is reaching the hands of people and programs who need it most. One of the biggest trends in philanthropy in 2017 was the increase in ‘Impact Investing’. This is a way of investing in small groups, and even individuals to ensure that society is positively impacted. The Open Society Foundation, Gates Foundation, Chan Zuckerberg Initiative and the Emerson Collective all made multimillion dollar investments around the world. The tech world is leading the way as the sector with the largest number of donors. They are also the group who has come relatively recently to philanthropy. This trend looks set to rise exponentially in years to come as the tech billionaires find their feet. Donations by women have increased in 2017, and this sector of donors looks to be the highest growing sector in philanthropy. Look at the recent donations by Sheryl Sandberg (US) and Jamie Cooper (UK) hitting well over $100 million. There is generally quite a pessimistic view of everything that is happening in the world right now, but trends in philanthropy show that many more people are prepared to step-up and donate to ensure that the world is better for everyone. That’s the key trend that has shown up in 2017: hope + truth = more donations from more people. Giving Big in 2017 – Who Donated the Most Money to Charity? It’s not enough to pledge your wealth after you pass away. Putting up actual cash to help build a better world is what sets these generous donors apart. While the total dollar value of donations may have dipped in 2017, we have a rise in the numbers of philanthropists who are prepared to give big, to give back to worthwhile causes around the globe in 2017. Who will end up as 2017’s biggest donor and philanthropist? Who Takes the Top Spot? Philanthropists, entrepreneurs, celebrities – these are the people that have effected significant change in the world in 2017, by ensuring that funds are directed to foundations, organizations, charities and individuals who not only need them the most, but who are working, often at a grass roots level under difficult circumstances around the globe. Michael Bloomberg – Often in the headlines for his work in politics, Michael is a committed environmental advocate and has used his position and his platform to fight climate change. The former mayor of New York City is worth over $47 billion and through his foundation, ‘Bloomberg Philanthropies’, he donates in excess of $200 million annually to environmental advocacy initiatives, medical research, education and the arts. Bill Gates – He may be the world’s richest man, but Bill Gates is also one of the world’s biggest philanthropists. In 2017, Gates donated $4,6 billion worth of Microsoft shares to an unspecified recipient. Many believe that the recipient is the ‘Bill and Melinda Gates Foundation’ which continues to support programs that work in global healthcare, and in poverty reduction. Sheryl Sandberg – COO of Facebook and founder of two nonprofit groups: LeanIn.org and OptionB.org, Sheryl recently donated 2590,000 Facebook shares, worth nearly $100 million, to a fund that she utilizes for charitable giving. The ‘Sheryl Sandberg and Dave Goldberg Family Foundation’ works in several diverse areas including women’s rights and overcoming grief and adversity. Sandberg regularly donates funds of over $100 million annually to her foundation and programs that seek to end childhood hunger and work to help college students from disadvantaged backgrounds. George Soros – With a donation of £13,6 billion to his ‘Open Society Foundations’ Soros definitely tops the list of philanthropists who gave big in 2017. Open Society works in diverse regions of the world, donating funds to programs that “build vibrant and tolerant democracies”. The foundation has given away over $14billion since it was founded in 1979. Warren Buffet – While Bill Gates may have pipped Warren Buffet with his donation, the financial entrepreneur also donated $3,2billion to the Gates Foundation in 2017. Through the ‘Buffet Foundation’, millions of dollars are donated annually to US and international organizations working in healthcare and education, specifically to provide financial support to low-income students via the Buffet scholarship. David Sainsbury – Lord Sainsbury not only comes from a family who founded the British supermarket chain that bears his name, but from a family with a rich tradition of philanthropy and charitable giving. Sainsbury founded the ‘Gatsby Charitable Foundation’ in 1967 with a donation of £50 to the Liverpool School of Tropical Medicine. In 2017, he donated £196 million to the foundation that works in education, the arts and diverse humanitarian efforts around the world. Sainsbury often donates funds to Cambridge University for research and the advancement of science in education. Jack Ma – The wizard of Alibaba is currently China’s most generous philanthropist with his recent donation of $2,4 billion worth of Alibaba stock to the foundation that he set up with Joe Tsai. The foundation focuses on environmental and health issues and the charitable trust is rumored to be one of the largest in Asia. This is a massive change, as traditionally, Chinese entrepreneurs tend to be on the lower end of the donor lists, but it seems that 2017 may be just the start of big philanthropy in China. Robert Kuok Hock Nien – Staying in the east, Malaysia’s richest man and Chairman of Hong Kong-based Kerry Group is a philanthropist on a large scale. He founded the nonprofit ‘Kuok Foundation’ in 1970 and is one of the region’s largest donors to programs that focus on education and social welfare including several prestigious scholarships. Sir Elton John – He remains deeply committed to the issue of AIDS and the ‘Elton John AIDS Foundation’ is a tireless advocate for the treatment, prevention and cure of the virus. Elton uses his celebrity to raise money for various causes and never ceases to be a leading celebrity light in the philanthropic firmament. He may not be one of the biggest donors in 2017, but Elton John is a dedicated and relentless campaigner for this cause. Gordon Moore – Mathematics genius and the author of Moore’s law, Gordon Moore and his wife Betty are the founders of the ‘Gordon and Betty Moore Foundation’ which was started with a donation of $5 billion in 2000. The foundation focuses on education and environmental conservation in California. The couple donated $600 million to Caltech in 2001 and continue to support science-based projects at the university. In 2017, Gordon and his wife donated over $250 million alone to various programs and causes. 2017 was a tough year… everywhere. Devastating natural disasters, wars, an ever-increasing refugee crisis and political instability in many regions. That has not stopped many philanthropists from making sure that money gets into the hands of people who are working to make the world better…for everyone. The last quarter of the year is known as the ‘Giving Season’ by nonprofit organizations. There are a number of national holidays in the last few months of the year and this may make people feel inclined to give more generously than other months in the year. A study undertaken by The Center on Philosophy in 2012, surveyed donors in the higher income brackets and their trends and habits surrounding when they donate the most. 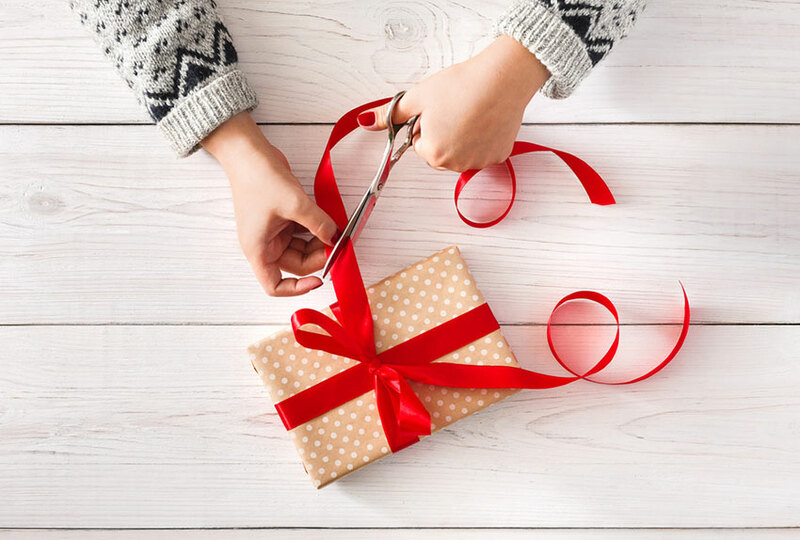 The study found that 42% of respondents gave significantly more during the holiday season. In similar studies, this time of nonprofit organizations, it was found that more than half of all charitable and nonprofit groups received over 50% of their total annual donations between the months of October and December. Heading into October – the race is on to attract donors, to deliver a message that will touch the hearts and minds of individuals to encourage them to donate to charity. The Chronicle of Philanthropy noted that donations to charitable organizations rose by 4% in 2015 and that the trend looks set to continue. In the same article it was noted that it was individuals that make up over 70% of all donations each year. 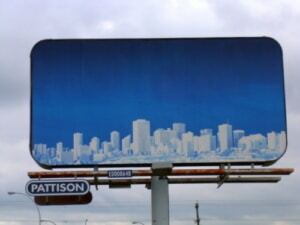 Shout It Out – Billboards? Radio? Television? wealthiest of donors or spend the largest amount of money on advertising to get donations. It’s more important to start raising awareness by reaching out within communities as opposed to tailoring your donation ‘pitch’ to a wealthy stranger. With the news that over 70% of all annual donations coming from individuals and not necessarily high-net worth donors, there is a lot to be said for making sure that your message is personal, evocative and reaches people on a community level. Educate potential donors – Get people to get involved, visit your programs, experience the work that you do. Face Time Your Donors – Go ahead and ask for donations. Set meetings and ask for appointments and be completely upfront about why you’re there. The biggest donors and donations come from face-to-face interaction. 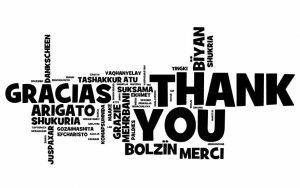 Thank donors for their help, and leave the door open for future donations and ways to get involved in your work. Asking for money is hard work, it’s thankless and tiring, often filled with daily disappointment. Start by getting people interested and involved on a community level and see how much easier it is to ask for donations during The Giving Season. Politics vs. Non-Profits – Does An Election Year Dampen the Spirit of Giving? Election year! 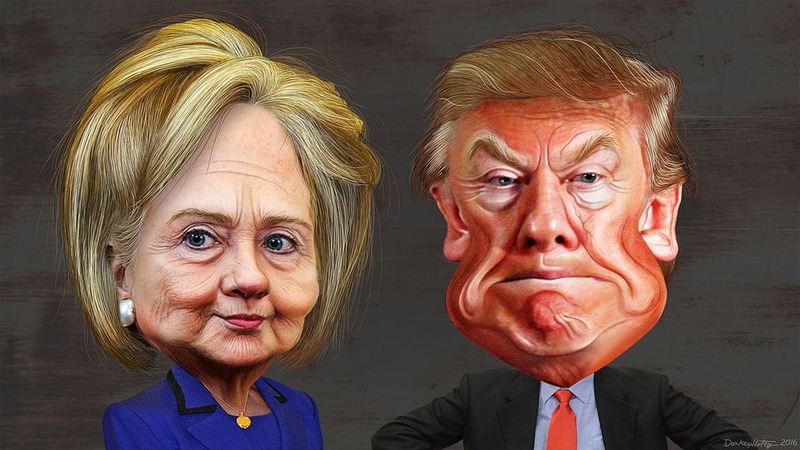 With an ever-increasing media frenzy surrounding the US presidential campaigns in 2016, more airtime, column inches and internet pixels being given over to reporting on the election and the candidates – will non-profit organizations be left to fend for themselves? Do Political Donations Take Away from Charitable Donations? Thankfully, that’s not the case. There have been a number of studies in recent months to track the value of political donations, which are increasing every day, and it looks like the value of charitable donations is on the up as well. With the presidential election set to cost a whopping $5 billion, many charities and non-profits were asking whether or not there was cause for alarm and whether there would be a significant drop in donations in 2016. A survey conducted by Dunham and Company shows that many people will still continue to donate to charity in 2016. In fact 79% of donors said they would continue to support charitable causes and organizations this year. Does Politics Help or Hinder Charity? If a politician throws their weight behind a charitable cause, does it help by driving more people to donate to the charity, or could it possibly have the opposite effect, by in some way tainting the organization with perceived political maneuvering? It’s an interesting question, and one that comes up time and again when foundations, trusts and non-profit organizations are planning their campaigns and their fundraising efforts. While having a celebrity, or powerful person can have an extremely positive effect on increasing donations and awareness of a specific campaign, it can also have negative consequences if the celebrity or political endorsement falls afoul of an increasingly fickle media and public. Alliances and partnerships have to be chosen with care. Leaning one way or the other, politically at least, may have disastrous consequences for a charity. It is far better to keep campaigning based on the importance of the charity, rather than the importance of the ‘face’ of the charity. It’s interesting to note that the same aforementioned survey by Dunham and Company shows that the biggest factor in whether donors will repeat and even increase their donations to a charity is how they are treated after they make the donation. Despite media hype and sensationalization on the internet, something as simple as a telephone call to thank your important donors can make all the difference in terms of whether they will donate again next year. The life of a celebrity may seem like a merry-go-round of parties, red carpet events and luxury home and vacations. Many celebrities though, use their fame, influence and star power to raise funds and awareness for charitable organizations and foundations around the world. Some celebrities, like Michael J. Fox lend their support and celebrity weight to campaigns that are incredibly personal to them. The actor became the driving force behind the Michael J. Fox Foundation for Parkinson’s Research after he was diagnosed with the disease in 1991. Angelina Jolie is one of the most recognizable and famous women in the world and she uses her fame and wealth to support a number of foundations and charities. In 2001, she became the goodwill ambassador and Special Envoy for the United Nations High Commissioner for Refugees (UNHCR) and in 2003 she formed the Maddox Jolie-Pitt Foundation, headquartered in Cambodia. In 2008 she partnered with Microsoft to form the Kids in Need of Defense (KIND) and as of 2008 is a member of the Council on Foreign Relations. 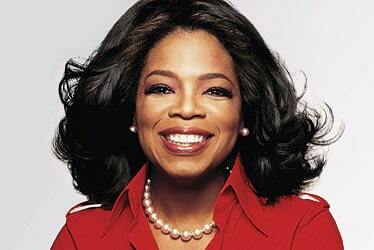 Oprah Winfrey is a media leader, television and film star and power fundraiser for charity. Winfrey personally donates millions each year to support her foundations and other charitable organizations around the world. To date she has donated over $400 million to educational charities in the US and abroad, including the building of a prestigious school in South Africa, The Oprah Winfrey Leadership Academy for Girls. Oprah’s Angel Network has raised nearly $100 million for different organizations around the world. 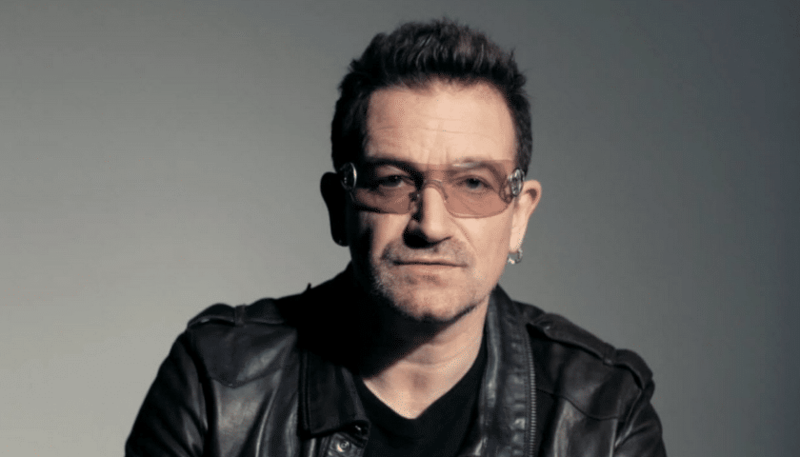 Bono, lead singer of U2 is a vocal champion of human rights and outspoken on the subject of poverty and hunger. He uses his star power to support over 40 charities including Amnesty International, Red Cross, Zero Hunger and the Clinton Global Initiative. He is the founder of ONE campaign in 2004, which brought together 11 humanitarian and aid organizations to fight poverty and hunger in the poorest countries in the world. There are thousands of charities around the world, but it is increasingly difficult to get people’s attention without a celebrity voice to make the vision and message of your charity stand out in the crowd. Celebrities use their time, energy and their fame to donate far more than just a dollar amount to help charities raise money. There is an increase in donations to charities and foundations during November and December each year. From Thanksgiving onwards there is a steady increase of donations to foundations and charities. 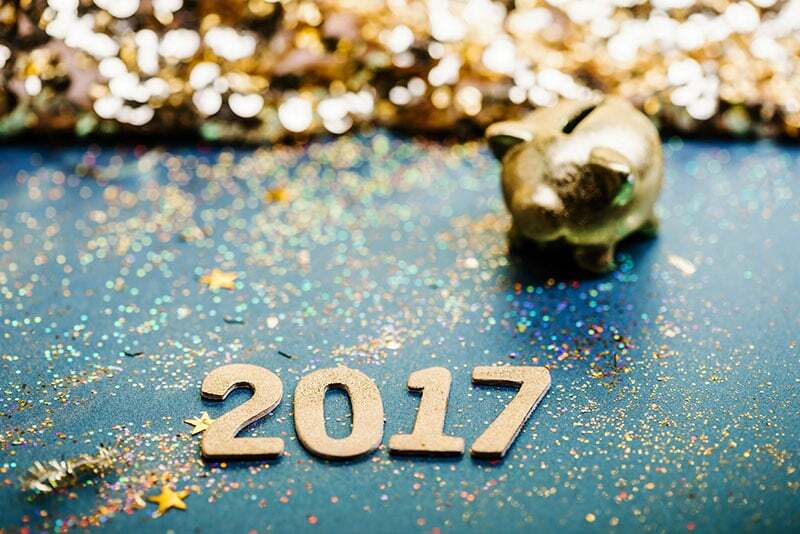 According to Network for Good, in 2014, up to 31% of ALL donations occurred in December with a whopping 12% on New Year’s Eve itself. 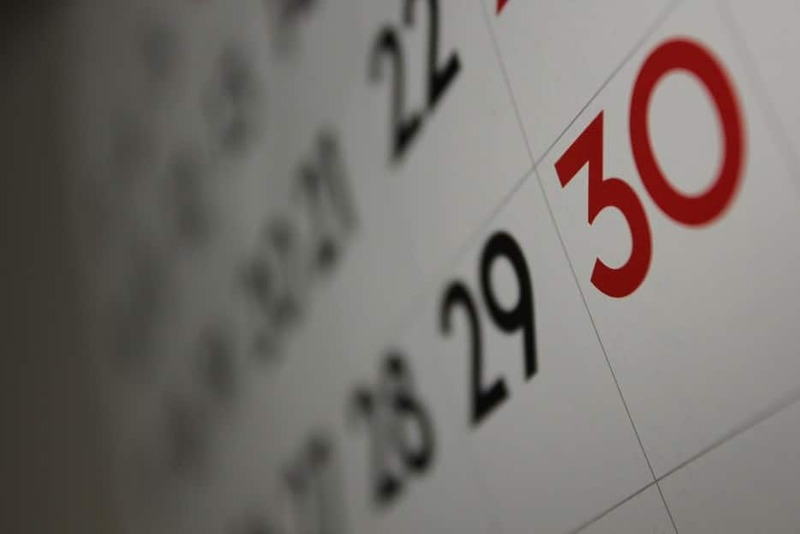 What’s the reason behind the last minute giving and how can foundations prepare to leverage the last few days of 2015 to entice new donors to their cause. With the increase in quite literally, last minute online donations, you need to make sure that your foundation or organization is equipped to manage, process and interact with potential donors. 1. Make sure that your website offers an easy way for donors to make an online payment to your charity: Set up secure payment gateways from a number of different payment sources and don’t forget to include sources like PayPal to facilitate easy payment choices. Security should be your top concern; donors will be encouraged to increase their donation if you ensure their security. 2. Make it easy for them to contact you: Donors want to know that you’re accessible to answer questions, and available to walk them through their donation choices. While many sites have a standard contact form, consider setting up an online chat service over the next couple of weeks. This gives your potential donors the chance to engage with you. 3. Set up a specific year-end giving page on your website: Consider adding a page to your website that is easily reached by a link on your home page. Give an overview of your foundation’s activities in 2015 and a short description about your plans for 2016. This is especially important for repeat donors – having a review of what was accomplished in the previous year will help them make a decision about their donation in 2015. Many people use the last few days of the year to make donations because of the ability to claim a donation as tax deductible in 2015, even if paid by credit card in January of 2016. For people making a last minute donation – make it as easy as possible for them to give.